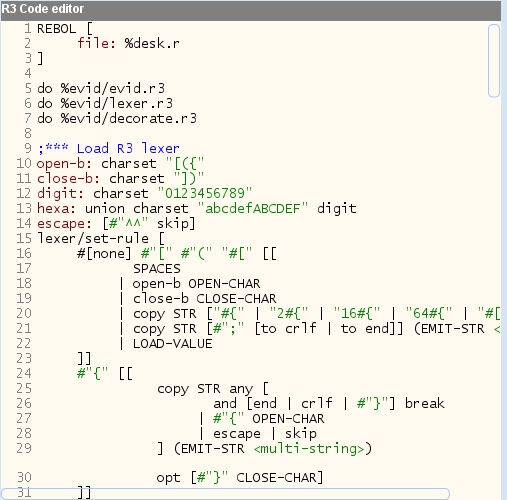 R3-code-editor is an on going project to furnish a code editor for Rebol built with Rebol3. 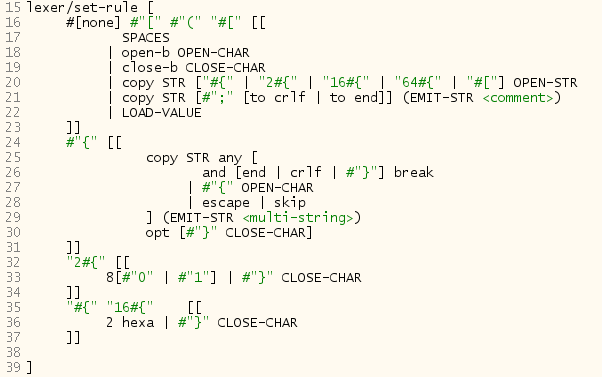 It supports syntax highlighting and syntax error reporting, all this on the fly. Once this first step is completed, a loader will be developed to allow inspection tools and semantic analysis of the edited code. Syntax highlighting is modularized to simplify updates and personalizations. It is coded using parse dialect.